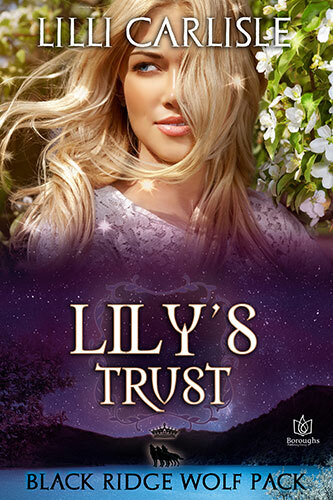 Omegas choose their mates, and Lily had been certain Jensgar would be happy she had chosen him. Instead, the former general of the king's army refused her, forcing her to the leave the pack she'd adopted. Humiliated and heartbroken, she returns to the Black Ridge Pack, only to find the pitying glances and hushed comments too much to bear. She has no home, and no one to call her own. Convinced she has no other choice, she flees to the forest to live as a wolf. She is shocked when Jensgar, in wolf form, comes for her, and slowly convinces her to trust him again. But the woods hold secrets, and danger. 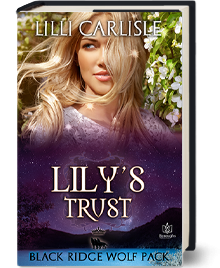 When Jensgar's life is threatened, Lily gives up everything to save the man she loves, and once again puts her chance for happiness in peril.